A total of 119 people have been discharged from Sultanah Aminah Hospital (HSA) and Sultan Ismail Hospital (HSI) as of midnight last night, following the chemical pollution incident at Sungai Kim Kim in Pasir Gudang on March 7. 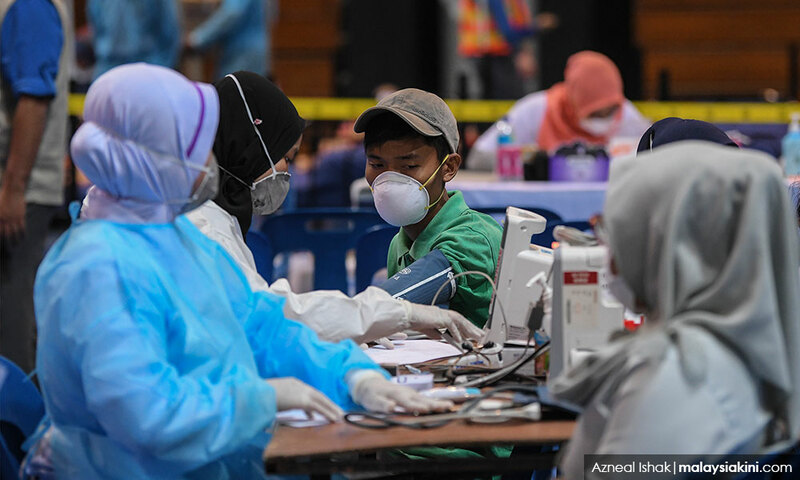 Johor Health, Environment and Agriculture Committee chairperson Dr Sahruddin Jamal said this brought the total of people still warded at the two hospitals to 29 from 120 reported yesterday. He said four people were still in the intensive care unit compared to seven previously, and they were reported to be in stable condition. In a statement today, Sahruddin said 30 teams under the Energy, Science, Technology, Environment and Climate Change Ministry would be mobilised to monitor air quality at 42 schools within a 5km to 9km radius from the polluted river in Pasir Gudang. “Members of the teams comprise Environment Department and Chemistry Department personnel who will carry out comprehensive monitoring activities from today,” he said. Sahruddin also noted that portable gas detectors would be used by the monitoring teams to ensure the air quality in the affected areas is at a safe level. “Five parameters to be monitored are oxygen, carbon monoxide, low exposure limit (LEL), the volatile organic compound (VOC) and hydrogen sulfide (H2S),” he said. Read more: Pasir Gudang: An emergency or not?